This year Hannah has been awarded one of 32 prestigious BBC Performing Arts Fellowships. 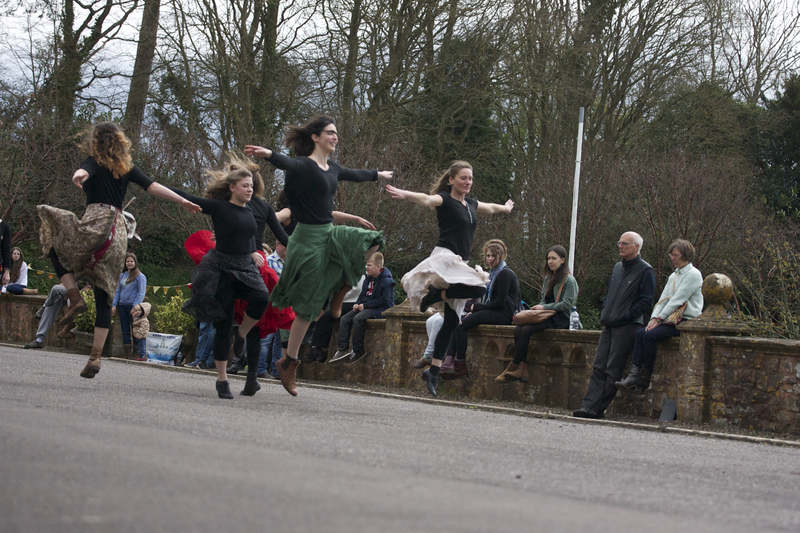 Hosted by Halsway Manor National Centre for Folk Arts, the Fellowship will enable Hannah to train extensively in folk dance styles from across Europe and to create new work combining folk arts with dance and circus for performance in 2015-16. The Stepping Out Dance Residency was the first residency of the Fellowship. Hannah worked with seven professional dancers and folk musician Nonny Tabbush to create work in progress for a scratch performance at the Hot House Festival. Two pieces came out of Stepping Out. One was a piece of narrative dance theatre inspired by Sherryl Jordan’s novel The Raging Quiet, which explores the themes of friendship, isolation, prejudice and freedom. The other piece for outdoor performance and experiemented with combining folk music and dance with contemporary dance forms.